A contemporary garden is the desire of everyone who values even a small piece of nature in which to relax. Our writer, Stella Ryne, goes in search of the perfect way to add a contemporary garden to your home. 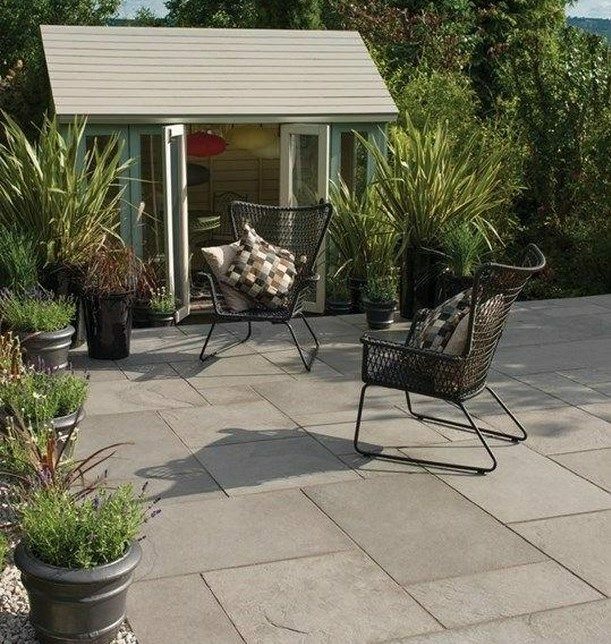 If you’re a huge outdoors lover who can’t wait to relax and unwind in the comfort of their own contemporary garden after a long day at work – welcome to the club! 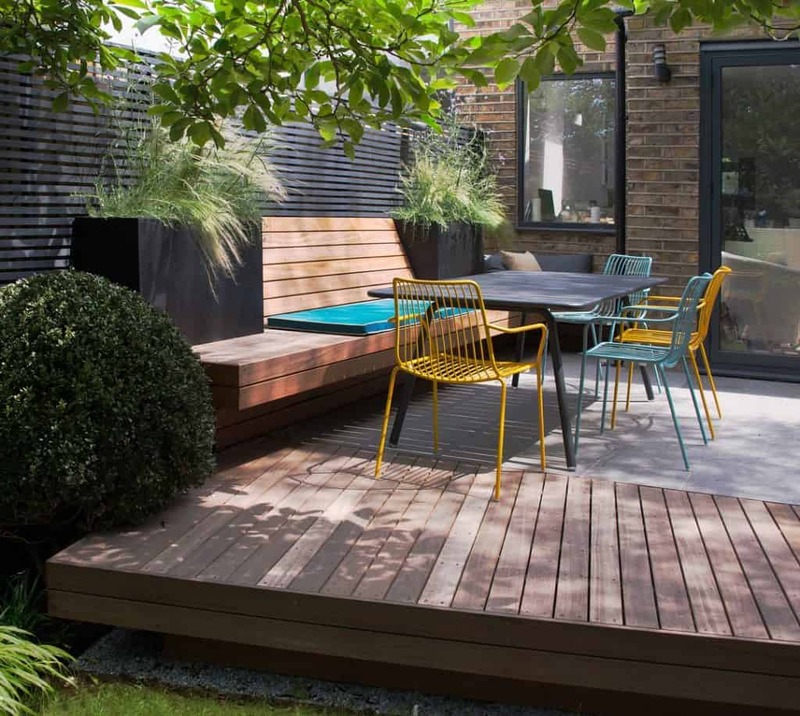 I completely understand what you’re talking about, so here are a few tips on designing a contemporary garden with warmth, so that you can enjoy it even more. Just check them out and make it happen! Even though neatly organized rows of stiff, sculptural plants have become the norm in a lot of contemporary garden landscapes, I must say that you should probably choose a minimalist planting style that is all about simplicity. This basically means that you should better pick pot plants instead of actual garden beds, as these will allow your space to remain clean and mess-free. When picking the pots, you should carefully consider how much of them you’ll need, as you don’t want to come up with unnecessary clutter. Only one large-scale pot with a gorgeous advanced plant like a dragon tree is often what’s more than enough, so go for it and you won’t regret it! Speaking of designing a contemporary garden with warmth, we must also say that the overall layout surely plays a huge role. As mentioned above, pot plants are a huge hit nowadays for a good reason, and homeowners love to pull them into the hardscapes within patio areas. This is definitely a great way to play around and experiment with the layout, which will help you decide on the best one for your garden. 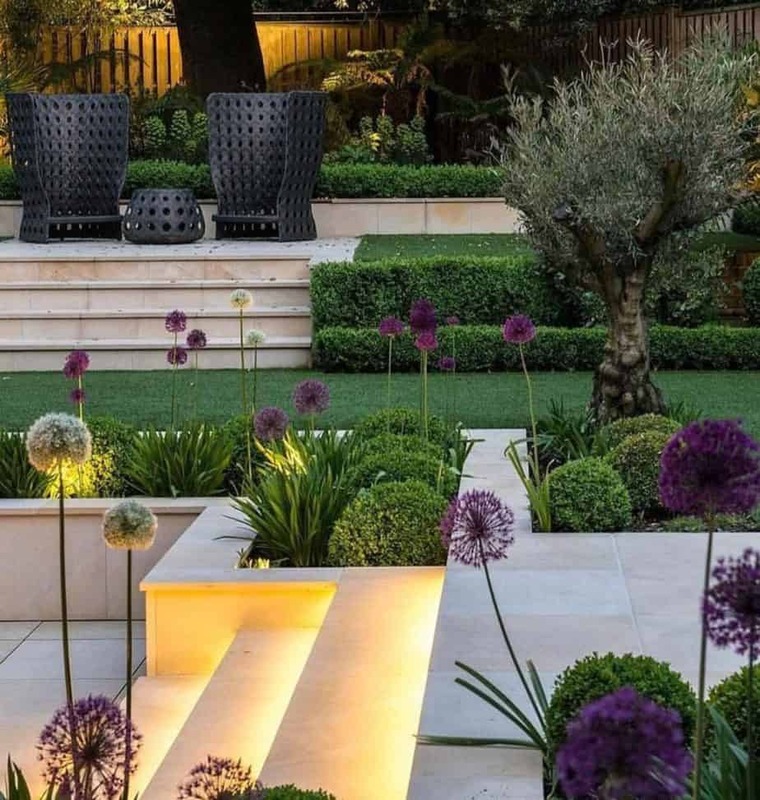 Besides that, lighting is also an extremely important element of any contemporary garden – especially if you love to spend your evenings and nights outdoors. Needless to say, LED solar garden lighting is a fantastic choice if you want to highlight particular areas in your garden. String lights are also a popular option, as well as hanging light fixtures that can further contribute to an enchanting atmosphere and a fairy-tale setting. Another essential step you should take is bringing more warmth to your hardscapes, which will unquestionably contribute to an improved overall atmosphere in your garden. This can be done in many ways, one of which is adding a pop of color. As you probably already know, material like concrete, steel, and some types of stone actually have a really cold appearance, which is why they can bring an uninviting vibe to your garden. That’s exactly where a warm color palette should step in, as too bright colors are likely to take you away from a modern aesthetics. Shades like sand, warm beige, terracotta, and copper will definitely do the trick, so be sure to introduce them to your hardscapes and you’ll see an instant improvement! 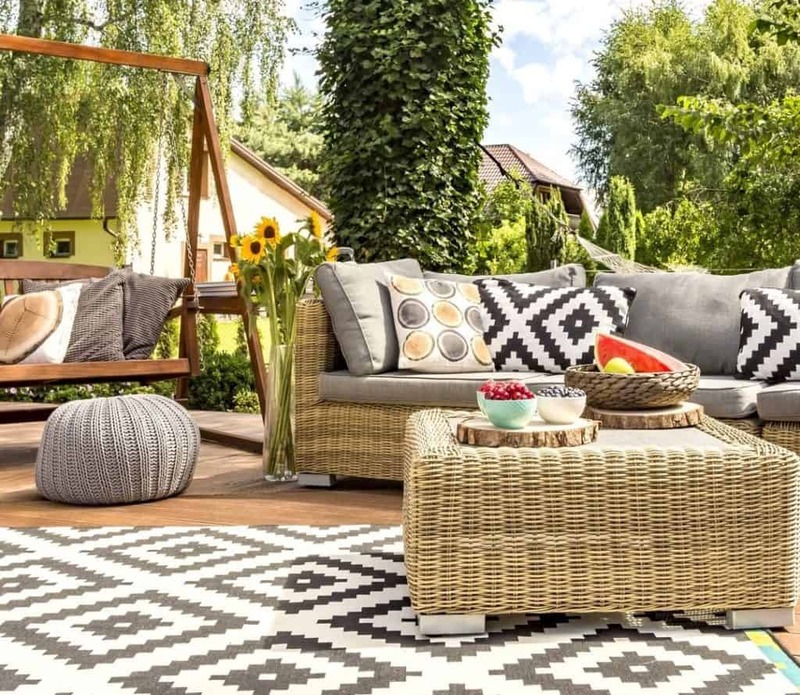 Last but not least, outdoor furniture is also an essential part of any contemporary garden, so make sure to pick it wisely. The truth is that most of these come in either white or black, but you can always add more warmth by opting for natural materials like bamboo or using decorative pillows and cozy blankets in your favorite warm shades. As for the pieces, you should probably go for comfy chairs with armrests that flawlessly match a table with a glass top. You can even get a fire pit that will transform your garden into an entertaining yet stylish area, too! 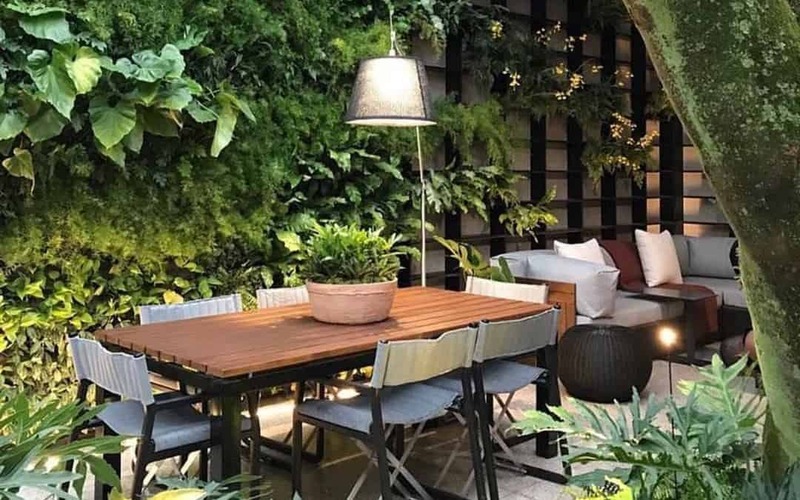 As you can see, there are a lot of ways to design your contemporary garden with warmth, and all you have to do is to stick to our tips if you want to make that happen. Just be sure to follow our guidelines and you’ll nail this task like a true pro, without a doubt! Stella Ryne is an art historian, traveler, conscious consumer and a proud mother. When she is not trying to improve the things around her (and herself, for that matter), she likes to lose herself in a good book. 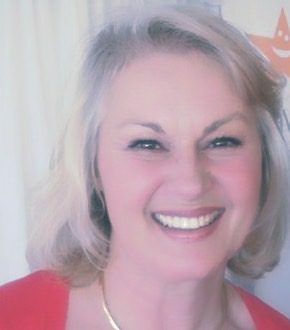 Follow Stella on Facebook and Twitter.